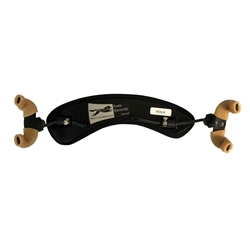 The Wolf Shoulder Rest Secundo was ergonomically designed to fit and to mold to the shoulder of the player. Legs are adjustable in height, angle, and width. With screw heights up to 3 inches and a bendable aluminum backing, the Wolf Shoulder Rest is ideal for players who have a difficult time finding a comfortable shoulder rest.